Travel was once a pursuit of leisure and something to look forward to in retirement. Nowadays, young generations like to get their travelling done early in life and continue to globe trot throughout their career. There’s a lot to think about, particularly deciding which of the 195 countries in the world you should visit. And for good reason. Not only is travelling to far away places more feasible than ever before but the value of travelling is higher regarded by employers. A gap year exposes you to new experiences and gives you new skill sets. Choosing where to go can be confusing, so we’ve laid out the hottest gap year destinations and the reason to visit them to help you choose. Looking to volunteer and blow off some steam post-exam period? Consider Australia. Curious to see another way of life before starting your career? Japan might be the place for you. 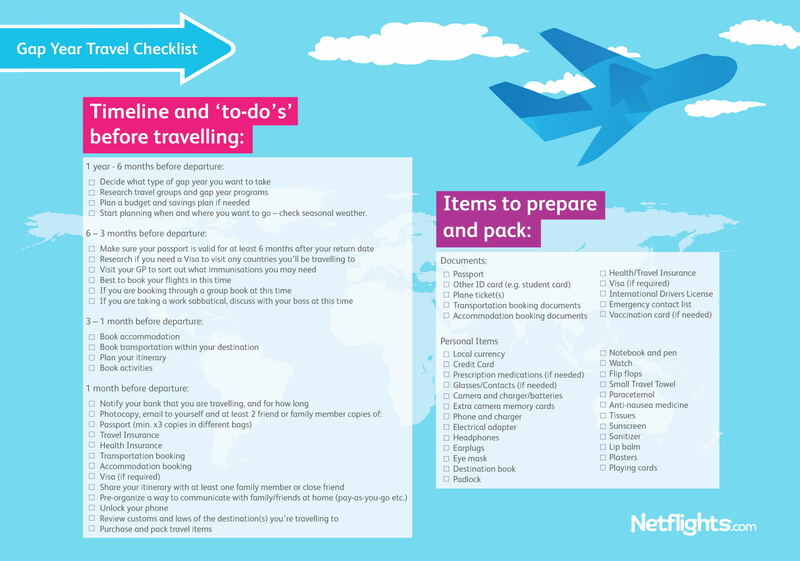 There’s a lot that requires your attention before going away too so we’ve assembled a handy checklist, from your passport to when to plan your budget.